There are tons of smartphone apps in the market for every platform these days for every purpose. 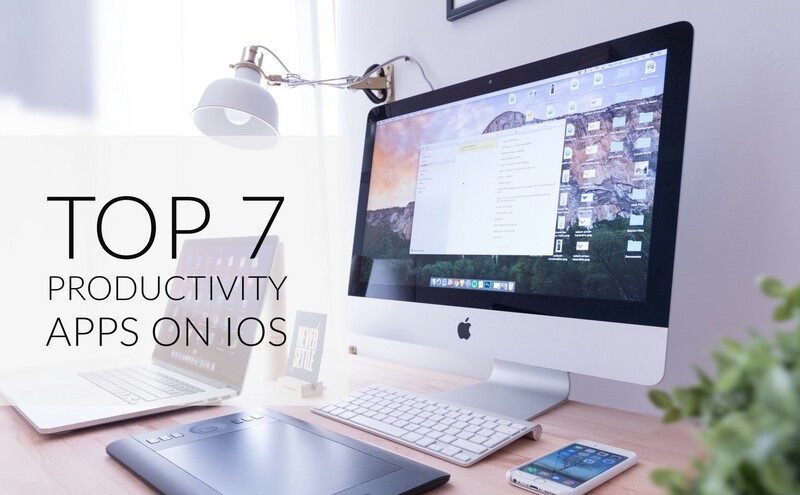 In this article I’ll outline what I found to be the best for increasing productivity. I’m always looking for ways to increase my own productivity and keep trying both old and new methods. New methods are fun and exciting but I try the old fashioned ways of doing things also because you never know what works best until you try it. I’ll list out the old school productivity hacks that might work wonders for you in another article. I use an iPhone so I’ll limit myself to iOS apps for now. Some of these apps, if not all, are also available on the other platforms. 1-Wunderlist-This is by far the best To Do list app. I have used this app for a number of years now and simply depend on it for a lot of things from grocery lists to keeping track of priorities and Goals. It supports shared lists so it’s great for shared To Do Lists as well. Just use it if you don’t already. I highly recommend it. It’s available on all platforms that I can think of. 2-Workflowy-I discovered this from a friend who was showing me some personal project of his one day a few years ago and I immediately fell in love with this massively useful yet totally minimalist app. Workflowy lets you create all kinds of lists, sublists to create elaborate outlines and such. It can be used for all kinds of things you might be into. Very handy indeed. 3-Strides-After having tried many apps for building habits, I found Strides to be one of the very best. This app works for building habits by consistently doing something regularly. Habits are formed by doing something repeatedly over a period of time. This app helps in reminding you to do so and by building streaks so you can keep track of it. The power of the app is to keep the task simple enough that they are actionable and to do them on a meaningful schedule. The app also helps in getting rid of bad habits. 4-Swipes-This is a pretty promising app for those who want something to remind them of tasks as needed. I think of it is a calendar which shows all the current tasks in a view and and all the upcoming tasks in another view and shows what tasks you have completed in an easy to view and use UI. The reminders also help immensely to enforce the tasks that need to be completed. 5-Instapaper-It’s a very nice app to help you “bookmark” articles you’d like to read but don’t want to disrupt your current activities. I use it to keep all my reading material (articles, blog posts etc.) in one spot for when I have time (while waiting at the doctor’s office or during a train commute etc.) The reading interface is non-distracting and very pleasant. It works better on bigger screens such as an iPad. 6-Hootsuite-This is an amazing app for pretty much everyone (not just social media junkies) to post on any social media platform without actually being on that platform. The app supports all the popular social media that I know of with single sign-on. The very best feature is its ability to schedule (and auto schedule) posts for the future. This is great if you are feeling creative sometime but don’t want to bombard your followers with a Tweetstorm (or tons of Facebook or Instagram posts all at once, which might overwhelm them and some of whom might even end up unfollowing you). Hootsuite is also useful if you want to set aside a time for posting to social media and not have to remember to regularly post new content for your followers. 7-Evernote-I have been using Evernote for a long time now. However, I feel that I don’t use it to its full potential. Evernote is a neat app to keep notes (audio, text, photo), bookmarks, lists and more. Evernote is cross platform and lets you freely sync a lot of data between the cloud and your devices and keep them all available to you wherever you goI recently discovered that you can link your Strides and Evernote account to sync lists from Evernote into actionable To Do list task in Strides. This is cool for so many reasons.